Isaiah 64 is a continuation of the prophet’s prayer to YHVH. Previously, at the end of Isaiah 63, the prophet wondered where YHVH’s zeal and compassion were. The prophet wanted YHVH’s heart to yearn for His people and the prophet wanted YHVH’s people to be the recipients of His mercy. The prophet called YHVH their Father and Redeemer. The prophet knew they had sinned yet desired for them to be reconciled with YHVH for the sake of His inheritance—the land promised long ago to Abraham. YHVH’s people had possessed it only for a short time in relation to forever. Surely they were devastated that their enemies had conquered them, destroyed YHVH’s sanctuary, and carried them off to Babylon. In Isaiah 64, the prophet prayed for YHVH to come down; he wanted the mountains to shake at YHVH’s presence as they had once done on Mt. Sinai. He asked YHVH to make His name known to His adversaries as He had once done to the Egyptians long ago. He desired for YHVH to make the nations tremble at His presence. What can I say? This is what I want YHVH to do even now. I suspect many around the world including many in Israel desire the same thing. No god has ever done anything like this except the one true God, YHVH. The prophet said YHVH acts for the one who waits for Him; therefore, we must wait for Him to act. Meanwhile, we must live righteously and rejoice in Him. Our desire is to meet with Him as Adam once did in the Garden of Eden. To do that, we must not continue in sin as the Jews did. We need to be saved from our sinful conditions. We need to examine ourselves. Have we been deceived into thinking we are living righteously when indeed we are as filthy and unclean as menstrual cloths? Is what we consider to be doing righteousness the same as what YHVH says is righteousness? Is our perception of ourselves and our behavior really accurate? We must take the time to examine ourselves and if necessary, repent. As we do so, we must remember that the fact is, we are all going to die eventually like the leaves that fall from the trees in autumn. Our iniquities, those things we intentionally do against others keep us from enjoying right relationships with other people and with YHVH. We don’t study the Scriptures like we should. We focus on our lives — our personal pursuits for fame and position, material desires, and our physical needs. We focus on our families to some degree as part of our daily responsibilities. We need to make time to dig into the Word and do what it says and follow the principles and commandments of Torah. We must not fail to call on YHVH’s name and give Him first position in our lives. We need to repent of our sin and iniquities and reach out as if to take hold of Him. We need to purify ourselves; we must not be mixed with paganism. We must walk in holiness. 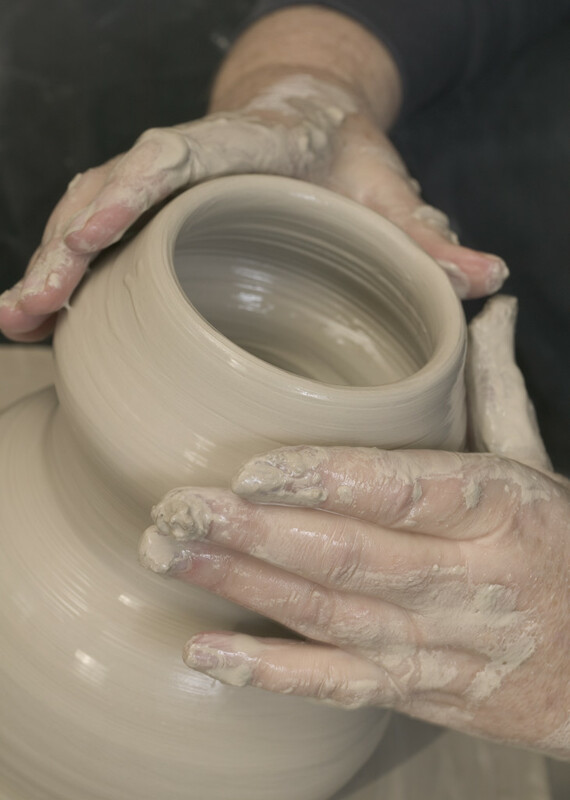 We need to remember that YHVH is the Potter and we are the clay. We need to be pliable in His hands so that He can shape us into what He sees fit. We should ask Him to show us how He sees us; we ought to ask Him to reveal to us how He wants to use us. We need to step out in faith as we sense the steps He wants us to take. Oh, YHVH, hear our voices! Please don’t be angry with us! Forgive us for our sins and iniquities. Reveal truth to us! Help us walk in your ways! Don’t remember our crimes. Instead, please graft us into the olive tree of Israel and help us to walk out our faith with fear and trembling. YHVH, please do not stay silent and punish us more than we can bear. Remember your people. Rebuild your temple in Jerusalem so that we can worship you there and so that others will turn their attention to what you are doing there. We desire for Yeshua to come and dwell among us. Teach us Torah so we can walk the ancient path. YHVH, please make our enemies tremble; crush them, and let your law be the law of the earth. Until that time finally comes, we will wait for Yeshua’s appearance. We will eagerly and humbly bow and confess that Yeshua is Messiah.